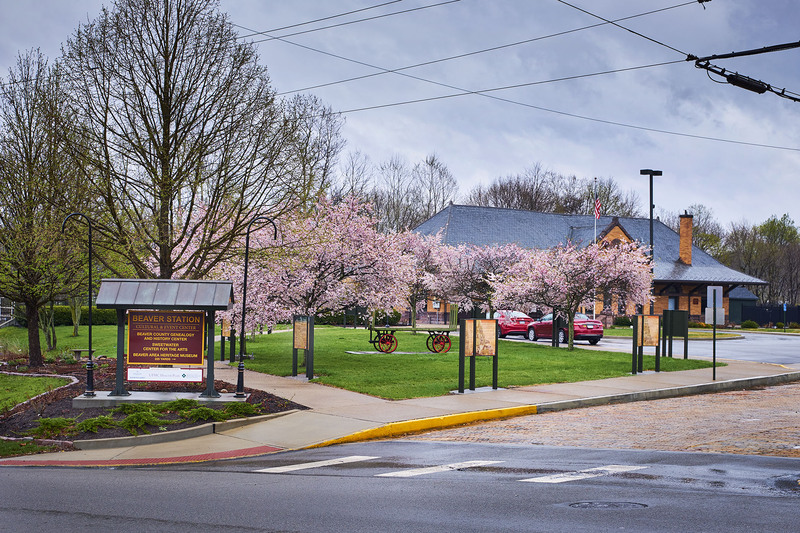 When the Beaver Area Heritage Foundation set out to transform the 1897 Pittsburgh and Lake Erie Railroad passenger station, they hoped to include an educational display of Beaver County. The idea, which was conceived in 2012, has been realized in the form of 22 Fiberglass Embedded (FE) panels and upright exhibit bases manufactured by Pannier. 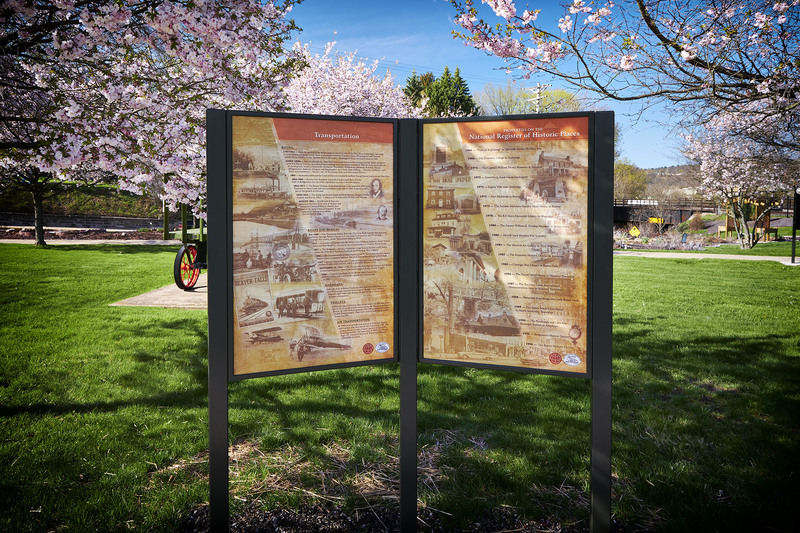 Appropriately titled “A Walk through Beaver County History”, the interpretive panels are situated on a garden walkway adjacent to the now Beaver Station Cultural & Event Center. 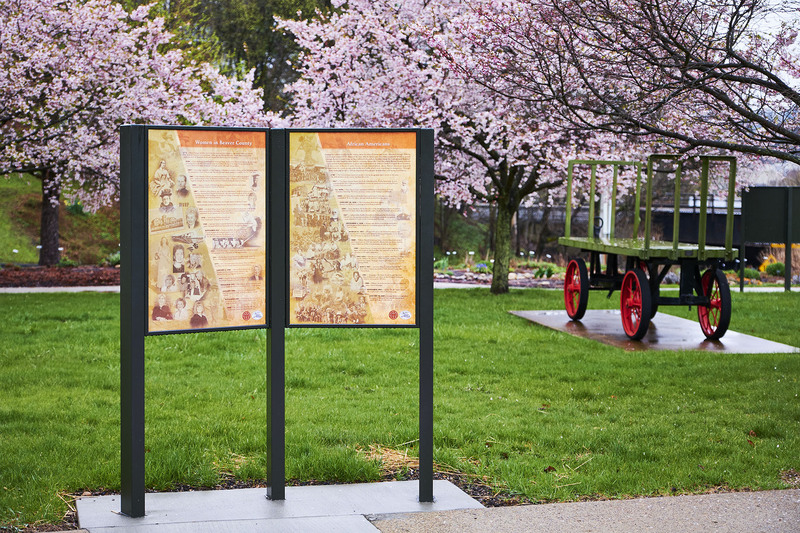 Each educational sign features artwork by historical artist Andrew Knez, Jr., along with photographs and text covering history dating back to the 1600s. 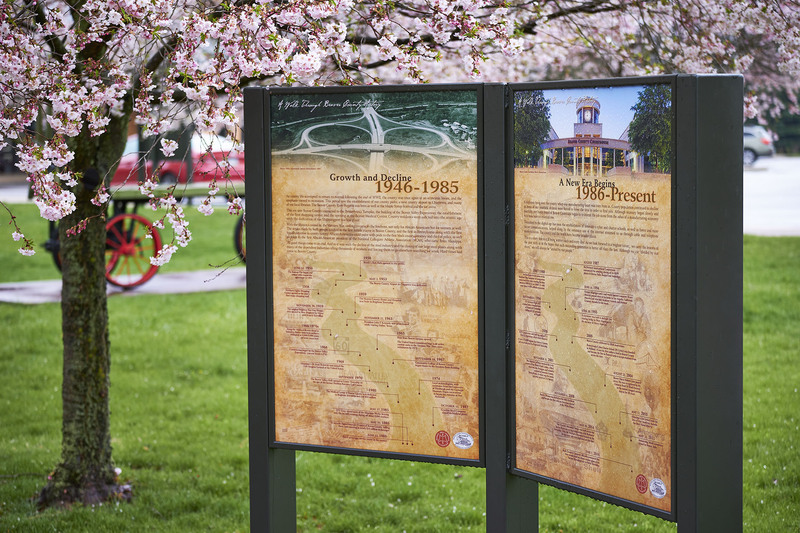 Of the 22 historical signs, 11 are dedicated to chronological eras including early settlement and industrial development. The remaining 11 panels cover subject matters that made significant contributions to the area such as famous athletes, African Americans, and the labor movement. 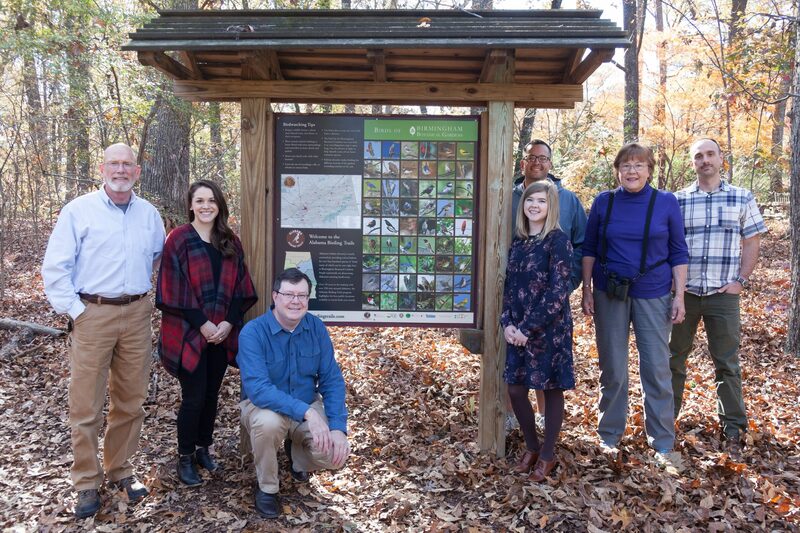 “My working relationship with Pannier started about 10+ years ago,” said Deborah Brimner, the Graphic Designer for the project. “The final product has been nothing but a rewarding experience. I have trust in Pannier that my graphics and vision will be handled and printed in the highest quality”. Aside from the historic content that each panel displays, several deliberate details were added to the wayside exhibits. The double offset exhibit bases and frames feature a custom color painted by Pannier that was created to match the color of Beaver Station. 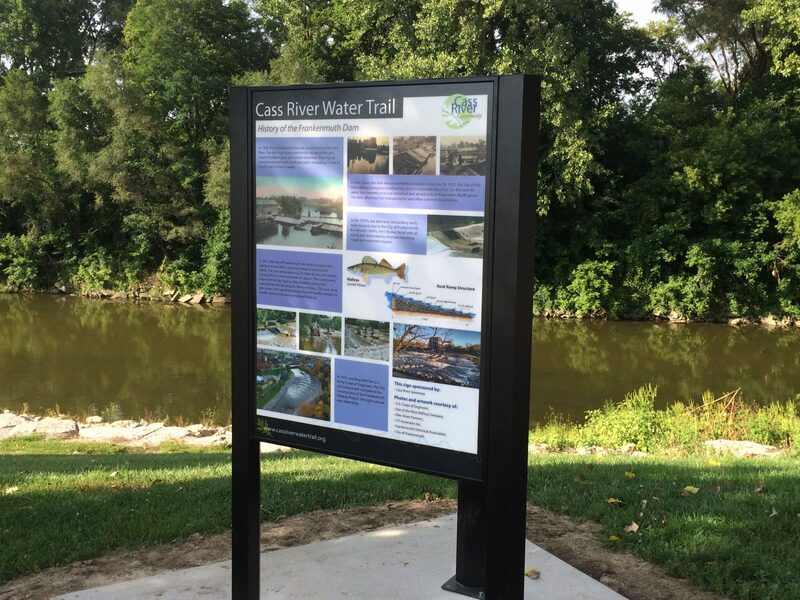 A few personal family photos may be found within the design of the graphic panels, as well. It’s clear that “A Walk through Beaver County History” was forged by a committee filled with passion and pride for their community.